Teerthanker Mahaveer University is a Jain Minority State Private University established by Act No. 30 of 2008 of the Government of Uttar Pradesh and has been approved by University Grants Commission (UGC) under Section 2(f) of UGC Act, 1956. The university is located on National Highway-24 and is barely 144 Kms from National Capital, New Delhi. The University stand committed to the ideals of Lord Mahaveer i.e. Right Philosophy, Right Knowledge, and Right Conduct in all its operations and aspires to be recognized as an ultimate destination for world-class education. 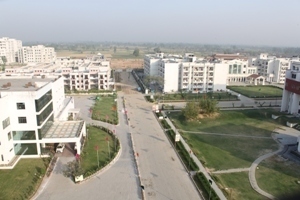 The university owes its origin to Teerthanker Mahaveer Institute of Management and Technology (TMIMT), which forayed into professional education in the year 2001 by offering courses such as BBA, BCA, MCA, MBA, B. Ed, M. Ed and B. Sc. (Home Science). After the university came in to existence in 2008, these programs are being run under the TMIMT and Department of Home Science. 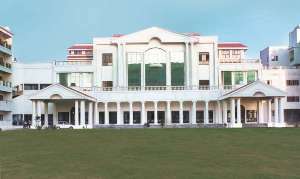 Subsequently colleges/departments like: Dental, Medical, Engineering, Pharmacy, Nursing, Para-medical Sciences, Physiotherapy, Architecture, Law, Journalism, Physical Education, Polytechnic, Agriculture, Directorate of Distance Education, Social Work, Hospital Administration, Fine Arts, Language Studies, Jain Studies, Women Studies and Disability Studies have been created to meet the rising aspirations of the youth. Currently the university offers wide range of programs having high employability potential through its 17 on campus colleges and 6 independent teaching departments. The university has made extensive collaborative arrangements with leading national and international institutions to ensure quality. The programs are designed and reviewed in consultation with professional organizations and industry experts in order to provide a strong academic vigour and industrial perspective and are delivered by excellent faculty, who are known for their dedication to teaching and research, and close ties with the national and international academic and business community. The programs are conducted in highly conducive learning environment which seeks to develop the power for critical thinking and analysis. We understand that students and professionals with communication and language skills are better able to explore ideas, gain critical and analytical skills and develop an understanding of what it is like to work in a global environment; hence we apply modern teaching practices placing strong emphasis on oral and written skills.